Pitra Dosh causes many obstacles in a person’s life, may originate from past karmic debt. Sometimes, in spite of our best efforts, we do not succeed due to Pitru Dosha effects. We are perplexed to find unavoidable obstacles at the time of accomplishment of our work and we fail to achieve our goal at the last moment. We often find that the family members face one trouble or the other and do not get rid of the problems, though one’s deeds are good. This belief makes us analyze what wrong or Papa(sins) we would have done in the past or present life. 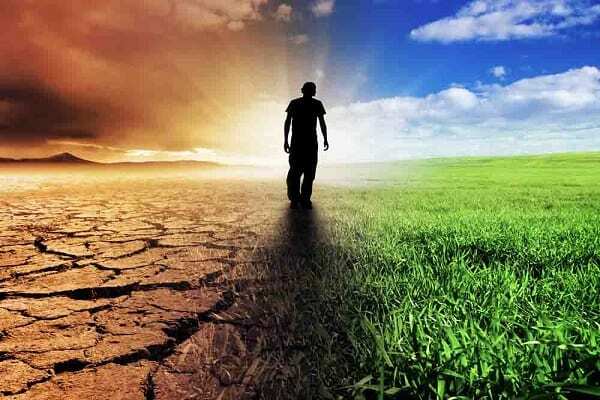 It is due to the effects of our Karmic debts of past or present or Pithru Dosham/ Pitru Dosham we face the inevitable and unexpected difficulties and hardships. The family members are repeatedly affected by some of the inherited diseases. These are transferred from one generation to the other. Some hereditary diseases like cystic fibrosis, Down Syndrome, Mental Subnormality, diabetes, asthma, most cancers, heart attack, as a result of cardiovascular disease are the best examples of hereditary diseases. Those who believe in rebirth can easily understand that this is because of the strong belief that the souls of our forefathers are not resting in peace. The evil deeds or Papa, we have committed in previous birth or past, knowingly or by mistake, is a debt on us and needs to be cleared. If quadrants (Kendra) or Trikona housesThese are twelve sections of zodiac circle having 360° numbered clockwise Ascendant is known as the first house and the last house is known as the twelfth house Each house represents specific traits used for prediction. 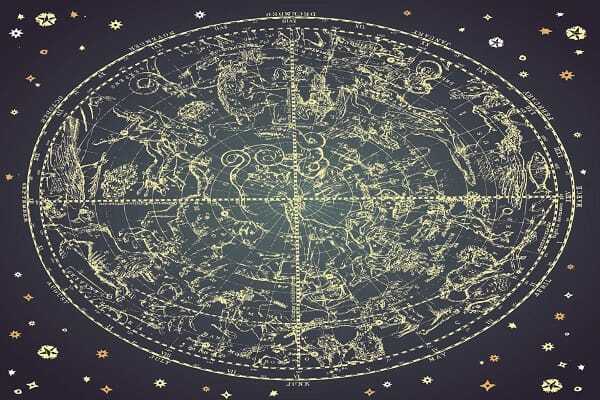 are posited with beneficial auspicious combinations (Shubha Grahas Yoga) in the individual’s astrological birth chart, the problems are minimized and there is no need to worry. 1. Obstacles in education and delay in growth of career or no improvement in the financial situation of either self or children. 2. 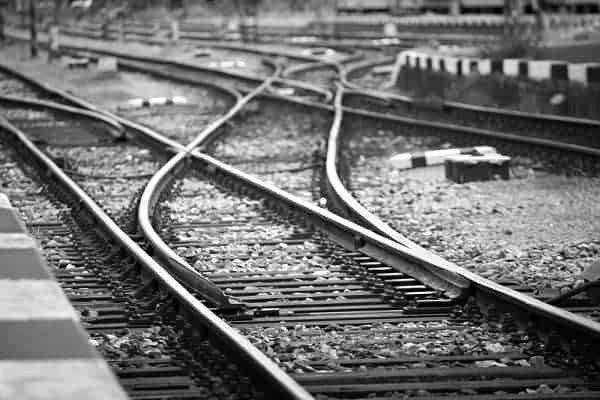 Delay in the marriage of progeny or self, divorce or problems in married life of self or children, which makes us think or analyze what wrong we would have done in the past or present life. 3. The problem in conceiving or repeated miscarriage. 4. Accidents or sudden deaths in the family. 5. Inherited diseases and prolonged illness to the family members. 6. Mental subnormality in the child. 7. Birth of physically disabled or unwanted child. 8. One or another trouble through children. Disrespect or humiliating behavior from progeny to the parents. 9. Disputes in the family. 12. People always remain under debts and are unable to clear their debts despite all their best efforts. 1. Sun is placed with RahuDragon’s head, used in Indian Vedic astrology in 5th hours or Sun is placed with Rahu in 9th house. 2. Rahu is placed in the 5th house or Rahu is placed in 9th house. Rahu is posited in the 1st house (ascendantRising of a zodiac sign on the eastern horizon at the time of birth, placed in horoscope of a native, as 1st house is most important in calculation and prediction) or Rahu is posited in 2nd house with no auspicious aspect of auspicious planets (Shubh Grah). An individual may be under adverse effects of inauspicious Shrapit Yoga(dosha) if Rahu is placed with Saturn, i.e. 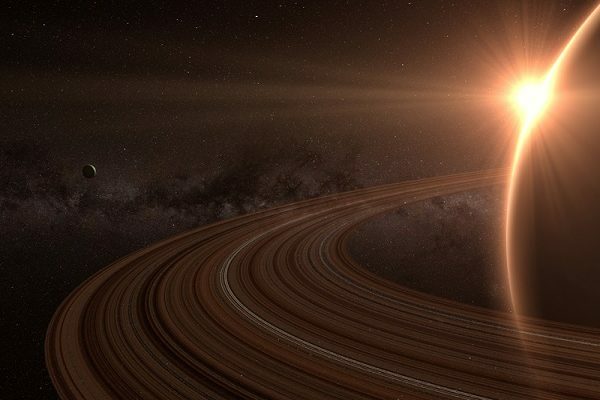 a conjunctionWithin 8 degrees of arc of Rahu and Saturn in 5th or 11th house or 5th house is afflictedA planet having unfavorable aspect by the aspect of Rahu and Saturn. There may be progeny related problems. 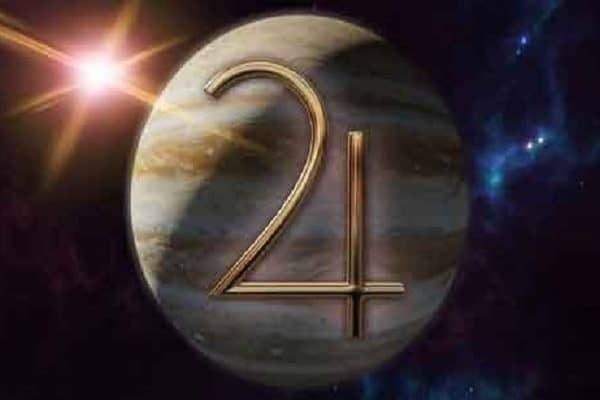 If either the planetary aspect or placement of beneficPlanets having natural beneficial and positive influences, opposite to malefic planets is present or individuals are blessed with powerful auspicious planetary combinations (yoga) in the astrological birth chart, the adverse effects of Shrapit Yoga will be nullified or minimized. We have to detect which maleficUnfavorable, opposite of benefic planet is forming Pitra Dosha through the individual’s astrological birth chart, then only Pitra dosha Nivaran Puja should be performed as remedial measures to pacify that malefic planet in Pitru Paksha. Pitru Paksha generally comes in the month of September or October. The rituals should be performed with sincerity and full faith to remember and pay homage to our forefathers. You may perform following Shrapoddhara remedy. Recite Devi Kilaka Stotram from Durga Saptashati chapter Kilakam, start reciting Kilakam Sloka in a dark fortnight(Krishna Paksha) from either a Krishna Paksha Ashtami (8th Tithi) or a Krishna Paksha Chaturdashi (14th Tithi). Then you should offer any amount of money to Maa Bhagwati saying “Twadiyam Dravyam Bhagwati Tubhyamev Samarpaye” means I am offering your wealth to you only, Goddess Bhagwati. Take back, consume this offered money as a blessing (Prasad) from Maa Bhagwati, use it for your daily expenses. This home remedy is a Kilaka Shrapoddhara process and it may cancel your Pitra Dosha and all your curses of past and present life. You can also do this Mantra-Japa during Navratri Puja or you may perform even daily. You can perform Puja in the morning hours, before 12 noon or in the evening before sunset for better results. Puja rituals can be performed at any time during the day starting from sunrise. Shravan 2019, the most auspicious month for devotion of Lord Shiva commences with Tithi Krishna Paksha Pratipada on Wednesday, July 17, 2019.There are four Mondays in this year’s Shravan month Starting from 1st Monday on July 22, 2019, ending on 4th Monday on August 12, 2019. Shravan ends on 15th August, 2019. Keeping fast (Vrat) and performing Shiv Puja (Rudrashtakam Stuti) for seeking blessings from Lord Shiva and Goddess Parvati on Maha Shivratri that is on Tuesday, 5th March 2019 and Sawan Shivratri which falls on Thursday, 9th August 2018 may give relief from Pitra Dosha Problems. Performing Puja and rituals on Shravan Amavasya which happens on Saturday, 30th August 2019 and on all the four Mondays of Shravan will help in regaining good health and wealth. One will be free from prolonged illness and ill effects of Pitra Dosha. Jupiter along with other planets will confer auspiciousness and divine blessings during Shravan due to Jupiter’s transitMovement of planets in the sky in real time. 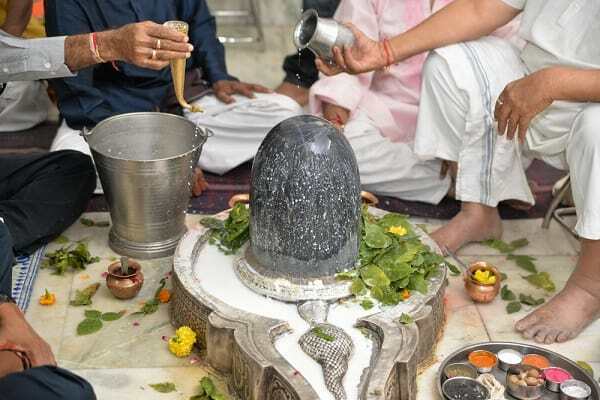 Lord Shiva Puja during this Shravan 2019 in the four significant daily Yoga (Muhurat) will help people in achieving success in higher studies, increase in income, prosperity, gain through business and promotion for those in a job. This will also help in getting rid of a prolonged illness. 17th July 2019(Wednesday) is the first day of Shravan Mass. 1. Monday, 22nd July 2019: 1st Shravan Somvar Vrat. Daily Yoga: Shobhana Yoga. 2. Monday, 29th July 2019: 2nd Shravan Somvar Vrat. Daily Yoga: Vyaghata. 3. Monday, 5th August 2019: 3rd Shravan Somvar Vrat. Daily Yoga: Siddha. 4. Monday, 12th August 2019: 4th Shravan Somvar Vrat. Daily Yoga: Vishkambha. Shravan Month ends on 15th August 2019 according to Purnimanta calendar. Monday, August 5th, 2019- 1st Shravan Somvar Vrat. 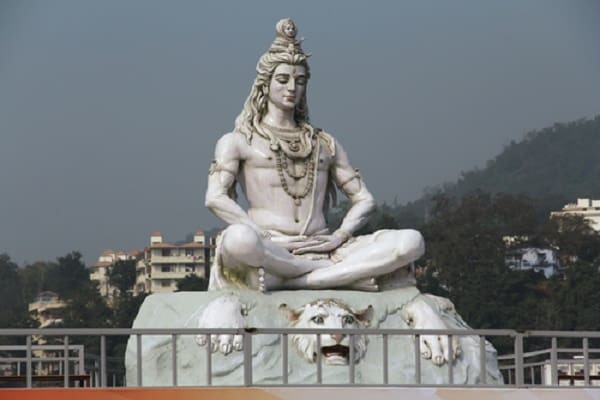 Monday, August 12th, 2019 – 2nd Shravan Somvar Vrat. 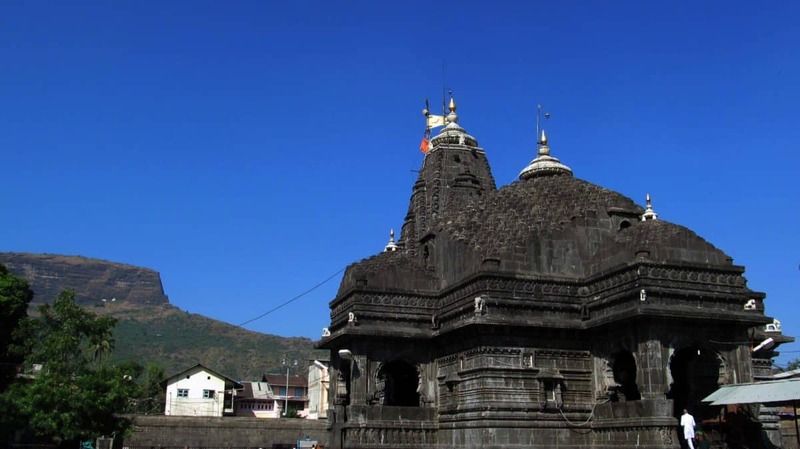 Monday, August 19th, 2019- 3rd Shravan Somvar Vrat. 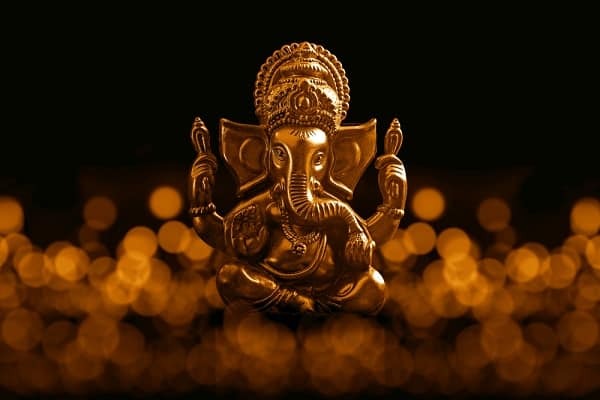 Monday, August 26th, 2019- 4th Shravan Somvar Vrat. 30th August(Friday), 2019 is the last day of Shravan Maas(month)based on Amavasyant calendar. 1) Plant a Banyan tree during the month Shravana. 2) Offer Jal (holy water). If water is mixed with a little amount of uncooked milk, use vessel made of brass or bronze(Kansa)for offering the Jal. Please do not use a Copper vessel for this Jal(water+ uncooked milk). 3) You may offer some leaves of Shami tree and Belpatra(number of three in a bunch) and plum to Shivalinga. 4) It is better to offer Jal to a banyan tree. If mixed with little uncooked milk, please use a vessel made of Brass or bronze(Kansa). Do not use a Copper vessel for this Jal(water+uncooked milk). 5) Donate Anna Vastra (food and clothes) to needy persons. 6) Respect elders and help old persons as much as you can. 7) Keep fast and perform Shiv Puja on all Mondays during Shravan. 8) Eat Satvik (pure vegetarian) food during the month Shravan. Somvati Mauni Amavasya is considered the most auspicious Amavasya among all the 12 Amavasya of the Hindu year. People chant Mantras, donate food (Anna) and cloth(Vastra) as Dakshina to Brahmin, food to cows and dogs after taking the holy dip in the river. Anyone takes a bath in the holy river, gets wealth, status, peace, success; the impacts of the Pitru Dosha and sinful deeds are nullified. Ardhodaya Yoga is one of the most auspicious and significant events like Kumbha yoga for Hindus. This auspicious event takes place due to the coincidence only when stars and planets come to a certain position, on a certain Tithi and lunar month. Tithi: Mauni and Somvati Amavasya( Snaan-Daan, Shraddha), Var: Somvar(Monday), Maas (month): Magh, Moon sign: Makara, Nakshatra: Shravana, Ashubh Nitya yoga: Vyatipata, Shubh Yoga: Sarvartha Siddhi Yoga. The duration of this yoga is 7 hours 18 minutes, from 7:06 AM to 2:24 PM. This festive event has become more significant, taking place after 24 years. Somvati Amavasya is also falling on the same day, it is believed to be equivalent to worshiping Koti Surya (Sun-God) and removes the ill effects of Pitra Dosha. This Yoga is considered more auspicious if occurs during the day time. Devotees believe water of all rivers turns into holy water (Jal) in the whole world as soon as this auspicious Ardhodaya Yoga occurs. Devotees observe fast (Vrat), take the pledge (Sankalpa) of donating bronze vessel (Kansa Patra-daan), take the dip in a holy river, worship Lord Shiva, Vishnu, and Brahma with holy water (Jal) and Kheer (milk, rice, sugar cooked together)in a bowl of bronze. They end their fast after performing these rituals: Agni-Homam, chanting Mantra, donating bronze vessel, food, clothes (Dan-Dakshina) bedding, money to Brahmans, poor and needy people. People give fodder to cows, food to dogs and grains to birds. It is believed people who perform all these rituals, Snaan-Daan and charity will be free from their sins (Pap-karma) and Pitra dosha and achieve peace, wealth, prosperity, status, success, name and fame. Phalaharini Kali Puja or Falaharini Kali Puja falls in Jaishto Maas, is also observed as Jyeshtha Amavasya or Vat Savitri Amavasya Vrat and Puja, mostly observed by married women in the west and north India. Jyeshtha Amavasya 2019 begins on Monday, June 3, 2019, The Puja will start at night. Vat Savitri Amavasya Vrat is also observed on the same Tithi. Snan-Daan Shraddha Amavasya is on the same day (Snan-dan). People observe fast, take the holy bath, worship Lord Shiva and Vishnu, perform Daan(do charity) on Jyeshtha Amavasya to get rid of Pitra Dosha (Pap-Karma). There will be Shanichari Amavasya on Saturday and Jyestha Shraddha Amavasya on Sunday, two consecutive days for donation and charity (Daan). People offer lamp (Deepak) filled with mustard oil to Peepal tree(Ficus Religiosa) in the evening of Amavasya. The auspicious Phalaharini-Kali Puja (Vrat) which falls on 3rd June 2019, on Jyeshtha Maas Amavasya according to the Bengali calendar, is observed in Bengal and other eastern regions of India. Phalaharini -Kali Devi or the Deity (Maa Kali) is destroying the bad effects of the past sinful deeds(Paap-karma) or Pitra Dosha of human beings. Kalighat Kali temple, one of the 51 Shakti Peethas at Kalighat, Kolkata, Dakshineswar Kali temple on the bank of holy River Hooghly, in Kolkata and Maa Anandamayee Kali temple at Malancha, Rasulpur, District Bardhaman, West Bengal. Kartik Purnima is also known as Tripurari Purnima Karthika Pournami. As remedial measures, for those who are suffering from Pitra Dosha may keep fast, worship Lord Vishnu, visit the temple after Kartik-Snan or Manikarnika–Snan, chant Vishnu Sahasranama Stotram, light lamps (Deep) to celebrate Dev Deepavali. One should donate clothes and food to Brahmins and do charity to the needy people. This is also celebrated as GuruJupiter Nanak Dev Jayanti. Kartik Purnima festival occurs this year on November 11- November 12, 2019. It begins at 06:02 PM on Nov 11, Ends at 07:04 PM on Nov 12, 2019. Maghi Purnima is also called Magha Purnima. This is the last day of Maghi-Snan. As remedial measures, those suffering from Pitra Dosha for a long time may observe fast, worship God Vishnu and God Shiva, visit a temple for Darshan after Snan(holy dip in the river). People offer Belpatra and Panchamrit on Shivalinga, chant Vishnu Sahasranama Stotram, perform rituals like Yagya(Yajna) Sri Satya Narayan Vrat. Devotees narrate Maghi Vrat Katha to celebrate auspicious Maghi Purnima. People should give grains to birds, food to animals(cow, dog), donate clothes and food to Brahmans and poor persons, provide bedding and do charity to the needy people. This important festival is also celebrated as Maha Magh Purnima, Maha Maghi festival and Magh Mela. During this time period, the auspicious Kumbh Mela is held once in every twelve years. Maghi Purnima 2019 festival occurs this year on Tuesday, February 19, 2019. Shukla Paksha Magh Purnima Vrat and Magh Purnima Kumbh-Snan end along with performing Daan and charity rituals. This is an important auspicious Tithi for minimizing the ill-effects of our Paap-karma (sinful deeds) or Pitra Dosha. Do not forget to offer Jal to forefathers or Pitra (Tarpan). People observe fast on auspicious Phalgun Krishna Paksha Trayodashi, well known as Maha Shivratri (great night of Shiva) to please Lord Shiva. Devotees visit the temple after Snan or taking a holy dip in the river, offering plum, flowers, bunches of three leaves of Bel Patra and Panchamrit on Shivalinga in a Shiva temple. They chant Mantra ‘Om Namah Shivaya’ to take blessings of Lord Shiva. The famous Maha Shivaratri Vrat is observed with great devotion in all over the world for celebrating the marriage of Lord Shiva and Goddess Parvati, Phalgun Trayodashi Tithi falls on Monday, 4th March 2019. Devotees worship Lord Shiva, visit Shiva temple in India, Nepal and other parts of the world. Some devotees of Lord Shiva and Parvati celebrate Maha Shivratri on Phalgun Krishna Paksha Chaturdashi, which is on Tuesday, March 5, 2019. The auspicious Vaishakh Shukla Purnima or Kurma Purnima tithi is observed by Hindus on full moon day in the month of Baishakh, based on lunar calendar, on Saturday, May 18, 2019, this year. It is celebrated as birth anniversary of Kurma, the second incarnation (Avatar) of Lord Vishnu. 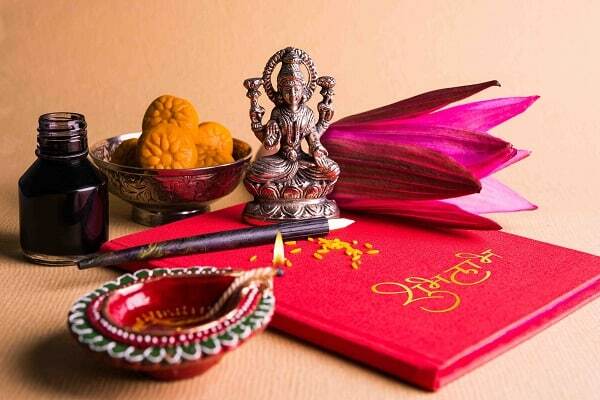 Special Puja and Havan are performed, Mantras are chanted in Vishnu temples. This Purnima is also known as Buddha Purnima or Buddha Jayanti as it is Lord Buddha’s birthday, observed all over the world by Buddhists. Remedies: After bathing preferably in holy river water worship Lord Shiva, Vishnu and Lakshmi, donate water or food ( fruits, til and sweets) and clothes to needy persons. (i) Om Hrim Shrim Lakshmi Vasudevay Namah! 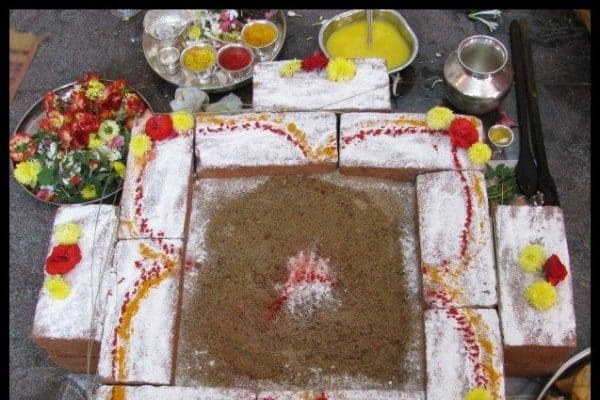 Want to know Pitru Paksha 2019 starts from which date? Pitra Paksha or Pitru Paksha is also known as Sarvapitri Amavasya, Peddala Amavasya, Mahalaya or Pitru Amavasya. Shraddha or Tarpan is a ritual, performed on this Tithi to pay homage to our ancestors after their death. Though the English dates of Shraddha are the same in East India, North India, West India, and South India. There is fifteen day’s difference between the Tithi of Shraddha in North India and south India. Amavasyant calendar(South India) is fifteen days late, as the month ends on Amavasya. West Indian and South Indian people follow Amavasyant calendar, it falls in the lunar month of Bhadrapada, in second Paksha, beginning with Purnima or Pratipada (day after full moon day). We spell it as Pitru Paksha in West and South India. It follows the Ganesha festival or Ganeshotsav. In North India people follow Purnimant calendar, this falls in the lunar month of Ashwin or beginning with Bhadrapada Purnima(the full moon day) or Ashwin Pratipada(next day after full moon day). Shraddha is generally performed for the person who died on the same Tithi in the past. But some of specific Tithi during the Pitru Paksha Shraddh, which are also known for the Tarpan or Shraddh of some persons who are dead, even if their date of death is different. 1)Navami Shraddha (Avidhava Shraddh) or Matri Navami Shraddha is also performed for paying homage to wife or Tarpan for mother. 2)Dwadashi Shraddha is also performed for Sanyasis. 3)Trayodashi Shraddha (known as Magha Shraddha) is performed for the peace of the soul of the dead children. 4)Chaturdashi Shraddha or ghat Chaturdashi is performed for the persons who died an unnatural or accidental death. Sarva Pitru Shraddha or Moksha Shraddha has to be performed for the persons(ancestors) who died on known or unknown Tithi. Pitra Paksha Shraddh or Mahalaya Paksha Shraddh begins on Friday, 13th September 2019. It is also called Kanagat. Pitra Paksha rituals begin from Bhadrapada Purnima for sixteen days duration and end on Monday, 28th September 2019 on Matamah Shraddha), which is the Ashwin Pitra Moksha Amavasya. The important last Shraddha is performed on the last date (Tithi) for Sarva Pitru Amavasya Shraddha, anyone can perform the Shraddha of ancestors, even if the date (Tithi) of the death of their forefathers is not known. Sept. 13. Friday. Purnima Vrat, Purnima Shraddha(Shraddha begins only for Purnima Shraddha). For others, Pitru Paksha Shraddha begins on 14th September 2019. Sept. 14. Saturday. Bhadrapada Purnima/Pratipada Shraddha. Sept. 15. Sunday. Ashwin begins (North)Dwitiya Shraddha. Sept. 19. Friday. Maha bharani,Panchami Shraddha. Sept. 22. Sunday. Ashtami Shraddha/Jeevita Putrika. Sept. 23. Monday. Navami Shraddha, Avidhava Navami/Matri Navami Shraddha. Sept. 24. Tuesday. Dashami Shraddha. Set. 25. Wednesday.Ekadashi Shraddha/Dwadashi Shraddha. Sept. 26. Thursday. Magha Shraddha(accidental death) / Trayodashi Shraddha, Sanyasi Shraddha. Sept. 27. Friday. Chaturdashi Shraddha. Sept. 28. Saturday. Sarva Pitridarshi Amavasya Shraddha, Sarva Pitru Amavasya. Ashwin Amavasya, Mahalaya, known unknown Tithi Shraddha(for all) , Sarva Pitra Moksha Amavasya Shraddha/ Matamah Shraddha. 1. Do charity to the needy after taking bath(Snan-dan). Give food to crows, street dogs, cows, ants and fishes on all Amavasya and if possible daily. i) 1. Chant Gayatri mantra: Om Bhur Bhuva Swaha Tat Savitur Varenyam/ Bhargo Devasya Dhimahi Dhiyo Yonah Prachodayat, 108 times, regularly. ii) 2. 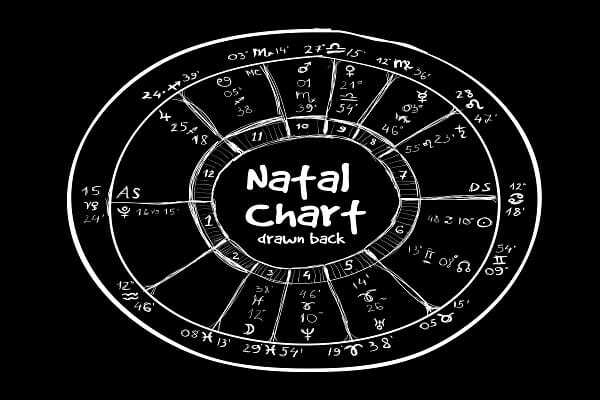 Chant sacred mantra: Om Namo Bhagavate Vasudevaya, 108 times or as advised by the learned astrologer, depending upon the planetary position in the individual’s horoscopeSynonym of birth chart, prepared with date, time and place of birth of an individual. iii) Recite Sarva Pitra Dosha Nivaran mantra. 3. Remember all forefathers on all the significant occasions at your home. 4. Do respect your mother, father and other elderly persons in the family. 5. Help the needy and old persons with food, clothes, medical treatment or money as much as you can. 6. You may donate food and clothes (Anna-Vastra Daan) warm blanket and bedding to poor persons. People believe that donation (Daan) especially on the night of any Pushya Amavasya or on Sarva Pitru Amavasya in Ashwin month or on all Amavasya Tithi, lessens the gravity of the evil effects of Pitra Dosha. 7. Shraddha, Tarpan or Pind Daan should be performed in the afternoon. One has to keep face towards south direction with prescribed rituals, using sesame, Barley, rice, burning Dhoop, camphor and cow dung cake (Upla). Then offer Jal (pure water) to Pitru on Pitru Paksha Ashwin Amavasya, as well as on the Tithi (day) of the death of your forefathers. Donate clothes, sweets, food and some money to priests or Brahmin. Give food to crows, dogs, cows, ants, and fishes. Worshipping and puja in Haridwar, Badrinath, Trimbakeshwar, Nashik or Gaya, through learned priests and performing other prescribed rituals may also be helpful and will certainly give relief from problems. One is advised not to start anything significant. Any new activity should be postponed or avoided during Pitra Paksha, to remember and respect our ancestors. 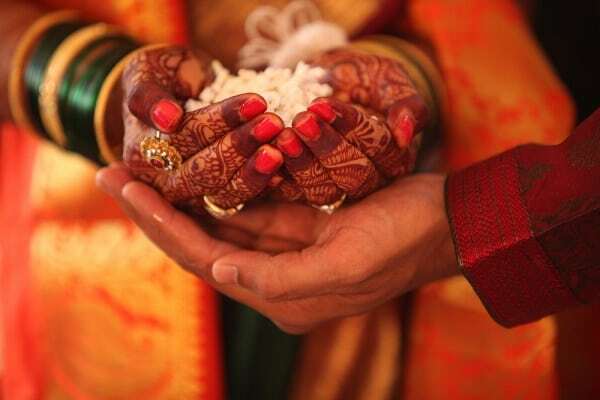 All marriage-related activities, celebrating the birth of newborn, joining of a new job, starting a new venture, constructing a new house and purchasing of new property, ornaments, clothes, utensils should also be avoided. Do not wear new clothes or ornaments during Pitra Paksha. Avoid haircut. Even eating garlic, onion, non-vegetarian food or liquor should be avoided, especially on the last day, Sarva Pitru Amavasya, Sarva Pitra Amavasya or Mahalaya Amavasya.